"Google is your friend" is the modern way of saying, "I am a jerk." 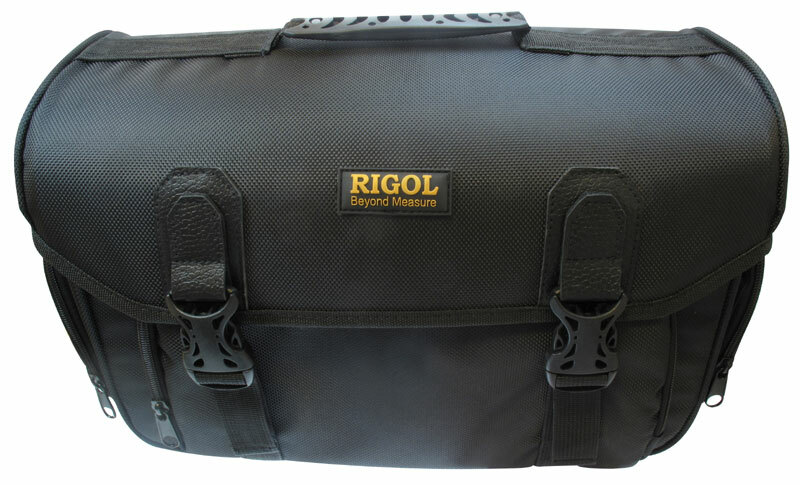 The Rigol case is really pretty good, far better than those offered by Keysight and Tek for their lunch box form factor scopes. It is well padded and despite being compact it has plenty of pockets for probes, multimeters and small bits of other paraphernalia you may have. It also has a sleeve at the back so you can hook it directly onto your favourite rollaboard bag's extending handle, so you can take it on holiday and entertain yourself while the family make busy with beach nonsense. I use a Stanley 12" tool bag that cost about $15, into which the DS1054Z fits perfectly, with room for the accessories. The specific bag model I have is now discontinued (the new version is about $12 on Amazon, but I can't confirm the fit), but I am confident you could take your scope to Home Depot and Sears and find a toolbag that fits equally perfectly. OUr google plus page needs updating on it but if you page down you can see real pictures of the bag. It is a nice bag and more sturdy then I thought it would be. The scope fits perfectly in the upper Minolta camera bag. It is padded. The pockets are great for the power cord and the probes.